Keep it casual with this beautiful maxi dress in white that makes a dreamy weekend wear. 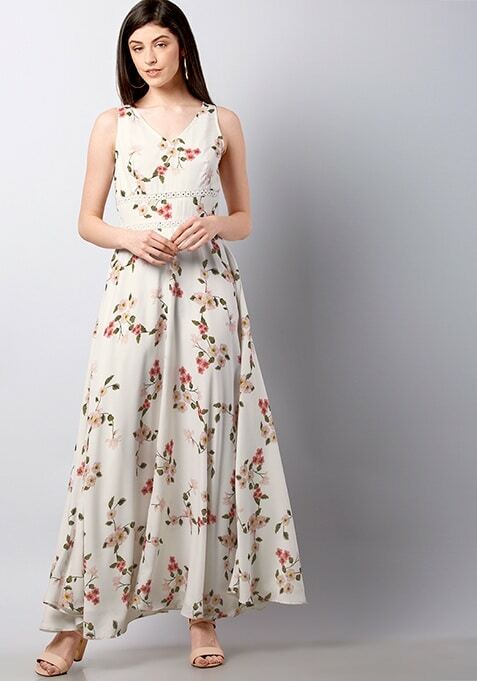 Featuring floral print and strappy shoulders, this maxi dress has zip closure. Work It: Team this with your favorite heels and accessorize the look with a hoop earrings.